If you want to have a beautiful lawn without the hassle of doing actual gardening work, then your best bet is to get artificial turf. Omaha homeowners can adorn their yard with artificial turf in Omaha by working with professional contractors in the landscaping industry. At Heroes Lawn and Landscape, we provide beautifully made and installed artificial turf in Omaha and nearby areas. Our clients get to enjoy professionally made landscaping solutions with inimitable quality. 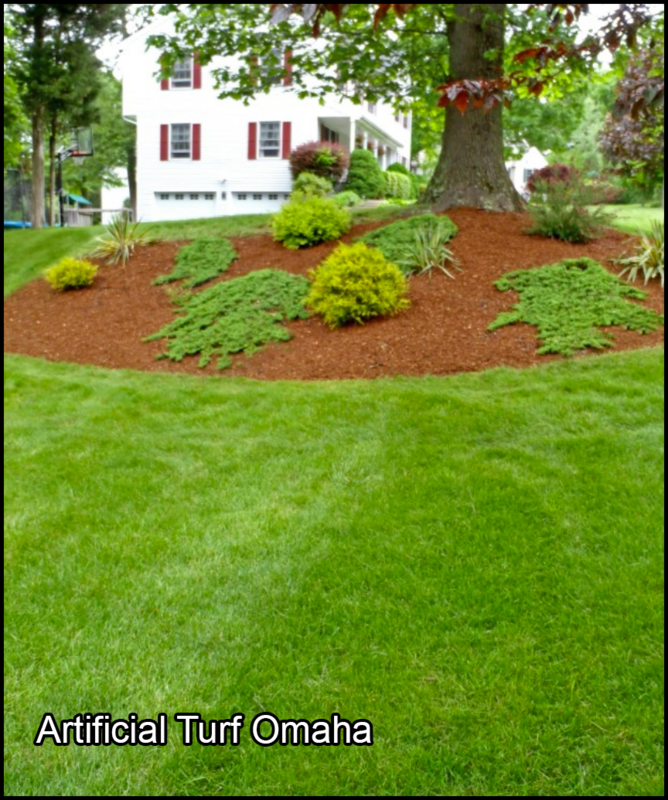 No More Fertilizing With Artificial Turf in Omaha, Nebraska! With artificial turf, Omaha homeowners can get a lush, green garden without having to work for it. Fertilizing is one of the biggest pains of gardening. Apart from the intolerable smell, fertilizing requires the application of different techniques that vary every season. Mastering all of them is time-consuming. Luckily, with artificial turf, Omaha homeowners don’t have to go through the trouble of fertilizing just to maintain that lush, green yard. In fact, you don’t even need to learn a single thing about fertilizing if you plan to set up artificial turf in Omaha. Installing artificial turf in Omaha is a practical and economical solution for people looking to enhance their home’s aesthetic immediately. With artificial turf, Omaha residents simply need to clear debris, brush the surface, and top infill levels to get that beautiful million-dollar look. On the other hand, a natural lawn requires you to do mowing, fertilizing, and trimming, on top of growing the actual grass. Have you ever thought about how long it takes to achieve the perfect lawn? Growing natural grass takes up a lot of your time. In fact, you might find yourself tending to your lawn more often than playing on it. Good news is, artificial turf in Omaha doesn’t require any form of gardening. You simply set up your artificial turf, and you instantly have a beautiful lawn that would’ve taken years to grow. Since there won’t be a need for you to purchase gardening materials, you can save up for other landscaping essentials. There are other items you can use to enhance the beauty of your yard aside from artificial turf. Omaha residents can buy flowers, bricks, and pavers, among others. Heroes Lawn and Landscape created a comprehensive guide on landscape designing. Feel free to check it out! Apart from saving you time and money, artificial turf in Omaha is also the environmentally responsible choice. Owners of artificial turf in Omaha do not need to use water for lawn maintenance. Rainfall is a natural and passive way to rid your artificial turf in Omaha of dust and pollen. For blemishes and soiled areas on artificial turf, Omaha homeowners can easily remove them using a simple solution of detergent and warm water. Additionally, with artificial turf, Omaha families can play all day long with their pets in their new backyard since it’s 100% pet-friendly! To see our products and samples of finished artificial turf, Omaha homeowners can browse through our gallery of landscaping solutions. Here, you can see different ways you can make use of your artificial turf in Omaha. Get Artificial Turf in Omaha, Nebraska Now! For top-notch artificial turf, Omaha residents can turn to Heroes Lawn and Landscape. We are lawn and landscape contractors that provide multiple solutions for clients who want to achieve their dream garden. Artificial turf in Omaha is just one of our many offerings. Visit our website for more information installation, products, and what we do! Keeping lawns, plants, and trees beautiful and healthy requires regular lawn maintenance and fertilization. However, looking after your lawn can be difficult when you have other responsibilities, such as work and family.